Rui Vitória: "We will be ready in the official matches"
Benfica had "a very good behavior" in the clash against Juventus. Benfica and Juventus faced each other "directly in the eyes", in the analysis of the coach Rui Vitória, who highlighted the quality displayed by his team, especially in the initial stage of the second and last test on American soil. "My team’s first half was very good, a good performance, with the control of the match, making the ball move around, facing a very tough team. Then, we had a more balanced second half, with the growth of Juventus due to the quality they have. The result [1-1] ends up being fair for what happened on the pitch. It was a really good match between two teams that faced each directedly in the eyes", said Rui Vitória. Benfica’s first official match in the 2018/19 season takes place on August 7, at the Estádio da Luz, against Fenerbahçe in the 3rd qualifying round of the Champions League. The competitive agenda had a different importance in pre-season planning. "We had to accelerate processes, but we never neglected the development and improvement of each of the players. We will arrive at the competition in August prepared. We faced opponents of very great difficulty, but we lived up to the occasion", stated Rui Vitória. "We are working very well. We leave the United States as we arrived, with all the players fit to give their contribution. We will go to Portugal to finalize our work process in this pre-season to be ready when the official matches arrive. And we will be ready", guaranteed the coach. Regarding the working group that he will lead in the season, Rui Vitoria was clear: "In my head, I already know the composition of the squad, but we will not be talking about it here. The important thing is to look at this match and see the performance the team had. It was a well-played match and my team had a very good behavior." 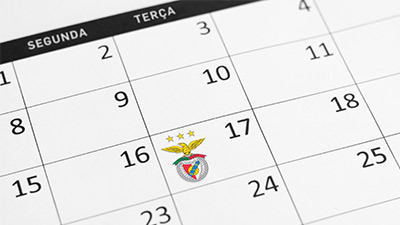 On August 1, Benfica faces Lyon at the Estádio Algarve, for the Eusébio Cup and for the International Champions Cup. Rui Vitória: "Positive responses in very demanding matches"